Health research is currently one of the important pillars upon which all countries of the world depend on the advancement of their societies and the advancement of their peoples, as well as its role in the development of human capacities. 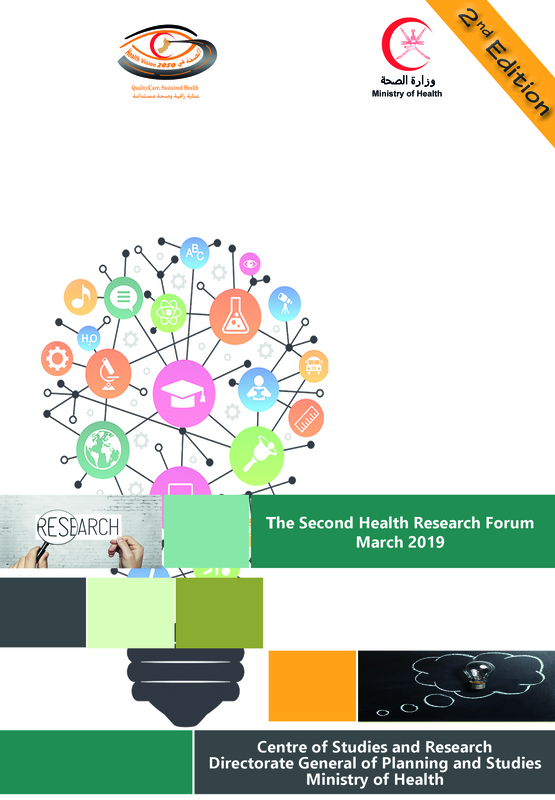 Borne out of the efforts of the Ministry of Health, represented by the Centre of Studies & Research at the Directorate General of Planning and Studies, the 2nd Health Research Forum will be held on Monday, 25 March 2019. The forum aims to encourage and reward research excellence and the winners of the best scientific research in Ministry of Health and the best Young Investigators, stimulate scientific research which is an essential element for enhancing human knowledge in all fields, and stimulate the investment potential of researchers to solve health problems in the country. The 2nd Health Research Forum will take place in the presence of Undersecretaries from various Ministries and the participation of more than 150 participants interested in health research from the Ministry of Health, various other ministries, and other sectors in Oman. The programme is expected to include keynote speeches, presentations of the best research in Oman, poster presentations, and networking between researchers all over Oman.